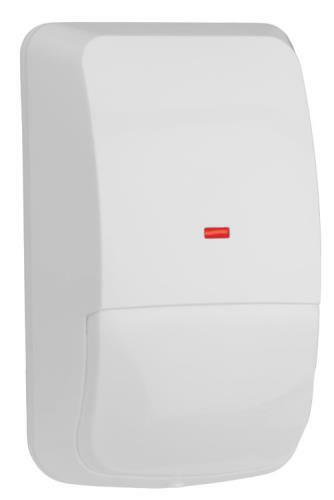 Provides PIR, 11 m x 11 m (35 ft x 35 ft) coverage, configurable with three coverage patterns, and an internal POPIT. Provides barrier coverage with an 11 m x 3 m (35 ft x 10 ft) pattern. Shipped in packages of three. Provides long-range coverage with a 21 m x 3 m (70 ft x 10 ft) pattern. Shipped in packages of three.